Next Book Sale is on Saturday, April 6! 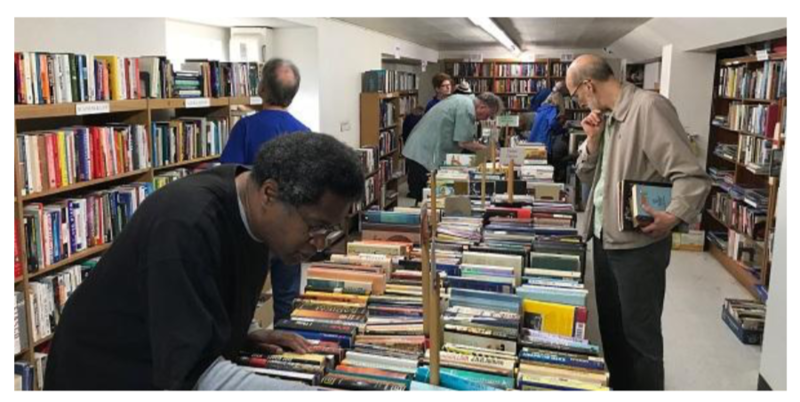 The next fundraising book sale by the Friends of the El Cerrito Library will be held on April 6th from 10 a.m. to 4 p.m. in the Friends’ area in the basement of the library at 6510 Stockton Ave. Previous spring book sales were held near the entrance to the library and all books were priced the same. With this sale, we will be offering a more books covering a wider range of interests and priced individually. As usual, there will also be CDs and DVDs for sale, too. Volunteers are always needed to set up the books, check out buyers and help clean up at the end of the day. If you can volunteer even an hour or two, please contact Grace MacNeill at 510-525-9518. And don’t forget to stop by and pick up some books for yourself. We Always Need More Donations! Donations of books, CDs, records and DVDs provide the basis of our twice-yearly sales and with a bigger and better sale in spring, we need more donations. You can leave up to one bag at the front desk any time during regular library hours. If you have several bags or boxes, please bring them to the library basement between 12:30 – 4 p.m. on Mondays and 2 – 4 p.m. Saturdays, except on April 6 during the sale. Bring in some books and buy an FECL book bag! Looking for a gift for a book lover? How about a Friends’ Bag! Only $10! A gorgeous canvas bag for $10. It is great also for groceries! Dimensions are 14 x 15 x 5″. All sales proceeds go to support the El Cerrito Library services and programs. To pick one up, please go to Friends’ office in the Library’s basement at the back of the building Mondays (12:30 to 4pm) or Saturdays (2 to 4pm).